Contact the Exclusive Buyer Agents at The Totin Group at eXp Realty at (210) 872-8888 to see real estate for sale in 78230 in San Antonio, Texas. Homes for sale in 78230 are located in San Antonio and Shavano Park, Texas (a Certified Scenic City). Sought-after planned communities and gated neighborhoods in this zip code north of downtown San Antonio include Colonies North, Dreamland Oaks, Elm Creek, Hidden Creek, Hunters Creek, Hunters Creek North, River Oaks and Whispering Oaks. Home values in this suburban area range from under $100,000 in some condominium communities to as much as a million dollars for some spectacular custom homes on large lots with views. Imagine the peace of mind that comes from having a professional real estate expert in your corner. 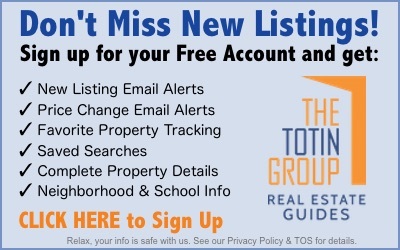 Did you know that your Exclusive Buyer Agent at The Totin Group can help you find the home of your dreams at no cost to you? Typically, the seller pays our fee. So you get expert representation with no out-of-pocket costs. Call (210) 872-8888 for details. The 10 newest listings of homes for sale in 78230 are shown below. Use the Advanced Search feature to search for all listings in this zip code.